This hostel was one of the cutest hostels ever, it was like staying in some ones backyard with lots of outside buildings dotted around to make up the hostel. A family run place, with a really unique feel to it. The rooms were dotted all around, some bunks in the main house, a large unit of 10 or so beds in the back and then little units of doubles or quads dotted all around. Finding our way around to begin with was a bit of a maze. A family run place by two brothers who were incredibly friendly and relaxed. When we arrived he gave us all room numbers as we got off the bus in friendship groups. We were then left to come and pay and get a key in the next half an hour or so. This was such a lovely system especially when there was 30 or so of us checking in at the same time! It was the same when we checked out, the owner was helping me with my bag and then just exchanged my key for the $20 deposit he had in his pocket! It was such a relaxed place that I could imagine having a real buzz in the summer! There were plenty of facilities – two kitchens both which felt like you were walking into some one’s home and using their kitchen. Both with real character and pleasantly clean with ample cooking space. The only issue I had was with the showers; for our rooms the showers were an outside block which needed several buttons pressing for the hot water – which timed out if you spent too long in the shower. They also provided free wifi, surfboard hire and discounted lessons. 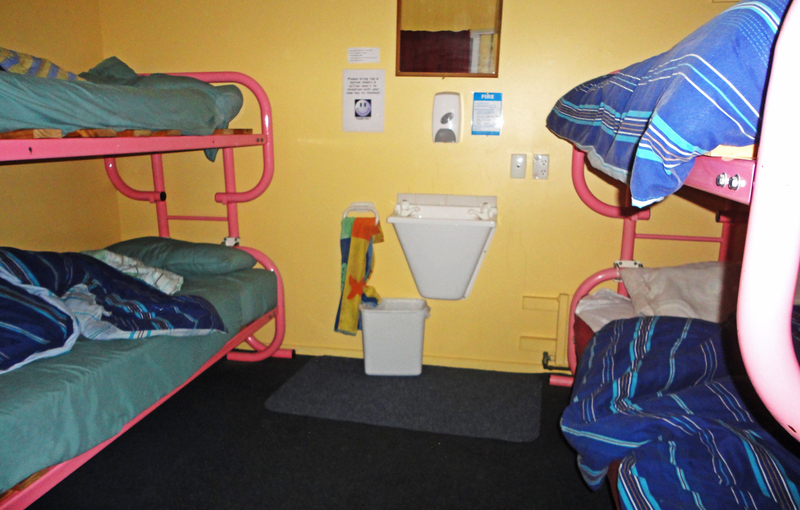 This hostel was a favourite of mine while travelling New Zealand on the Kiwi Bus. It was so nice to stay in a family run place after continuously being in Base chain hostels! They had top notch facilities and the communal spaces were so relaxed and big. It certainly reminded me why family run hostels are a much better option when travelling. 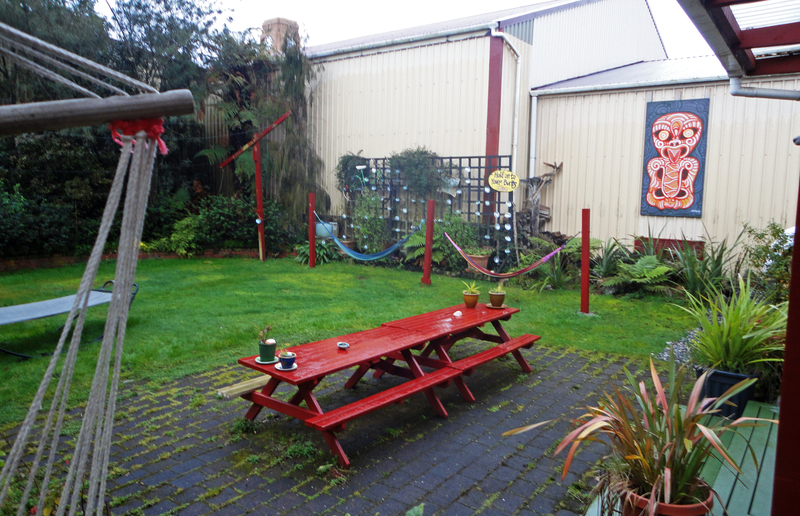 If you are travelling New Zealand on the Kiwi Experience this is their pick of hostel for the stop in Westport. Apologies for the terrible photos on this blog, I was in my usual hurry to take them as we were leaving and did a poor job!